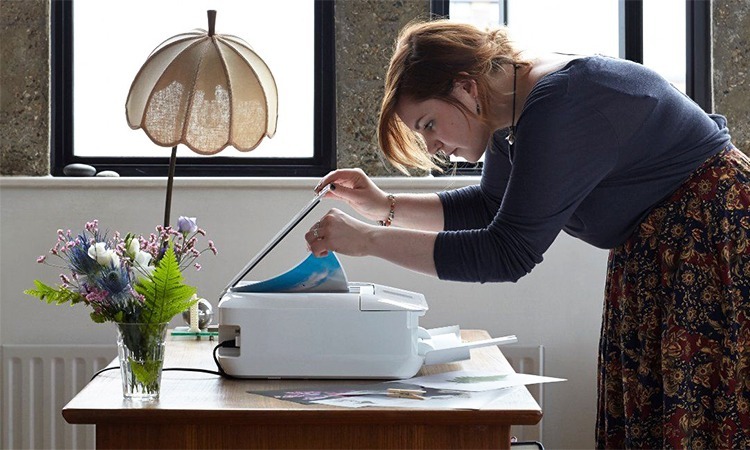 Are you looking for the best home printers in 2019? We welcome you to our home of multi-purpose printers at affordable prices.We have cut through the lingo to make your life easier when choosing one for your office or home. We make sure you’re spoilt for choice. Make sure to check our top 10 best home printers you can buy. With our guide, you can mix and match the important features to fit in with your specific printing needs. Whether you need one to use in your home or office you can find an inkjet or a laser printer to get your printing done in no time. Laser printers warm up quickly and are better suited for high-volume of work while the inkjet is a bit slower but still gets the job done. You can even find an all-in-one printer able to handle different types of jobs from making copies to faxing. While other models make it able for you to connect via Wi-Fi or Ethernet cable. Some offer you printer server facilities to use plug-and-play features. No matter what your printing needs are, we are sure you can find a suitable printer on our list. The Expression Home XP-430 is an all-in-one budget home printer and fits well in tight spaces. The highlights of this unit are it offers you remote printing and can print from different mobile devices that include iOS systems. The output quality is reliable and it has a huge color screen that is helpful when you need to edit photos. The downside is it does not have two-sided printing. This makes printing per page a bit more expensive when it comes to replacing ink cartridges. The XP-430 is a great home printer at an affordable price. This device is suitable for college students and not recommended if you want to use it for high-volume printing jobs. Another great thing is the black cartridge is not expensive to replace and has a small footprint. 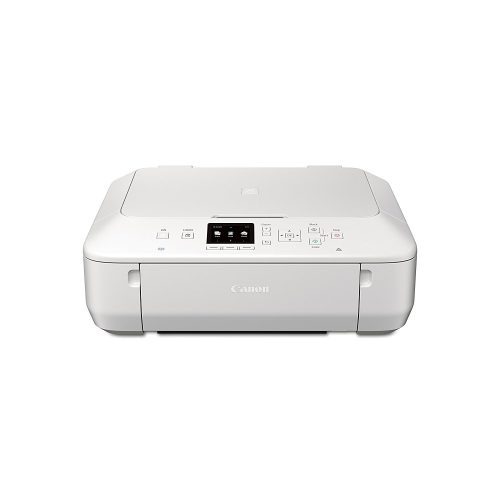 If you need the best value for your money when needing a home printer, the Canon MX922 is more than ideal. The printer produces rich colors and comprises 5 tanks. The downside may be that there is a delay when you press the start button to the paper actually coming out of the printer. Taking the negative into consideration, the printer offers, however,much more than just a delay it offers you load of features. As you can see even with the slow printing the Pixma MX922 is a great printer to use at home and the office. With the outstanding MFP features this printer offers you quality printing. You get outstanding document and photo printing in this budget-friendly printer. If you need a multifunction home printer, the MFC-J470DW offers your outstanding features with a low-cost ink refill. You get fast printing speeds with cloud connectivity. Print with Apple AirPrint and it supports Google Chrome print. The unit has four individual ink tanks that are low cost to replace. The only negative is the rubber buttons and overall plastic construction. The exceptional thing taking the construction into consideration this copier can copy, print, fax, and scan. 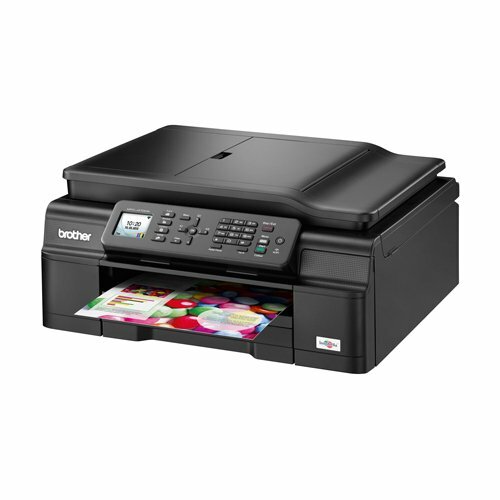 If you have a limited budget, the Brother MFC-J470DW is one of the best home printers you can buy at an affordable price. Replacing the ink is cheap and it has fast performance when it comes to printing, making copies and faxing. For an all-in-one printer with excellent output quality the Pixma MG5620 stands out for all the right reasons. 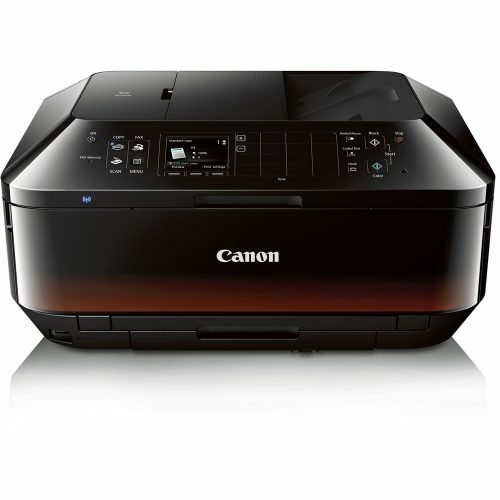 This printer offers printing, copying, scanning, and AirPrint. 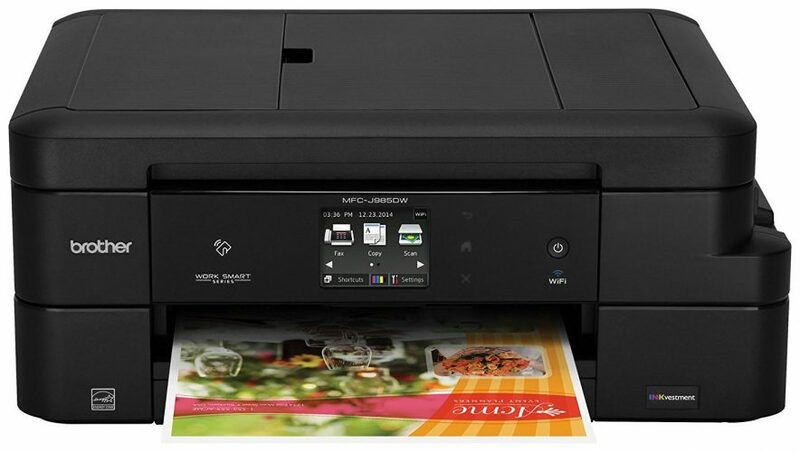 Furthermore, it includes an auto-duplexer to make double-sided prints and connects to the wireless network even though these home printers do not have a media card bay and replacing the ink can be a bit expensive. Setting up the Pixma MG5620 is easy and it offers you some smart functions to get different printing jobs done. Making loads of photo printing might cost you a lot in replacing the ink, but the auto-duplexer and double-sided prints save you many consumable expenses. 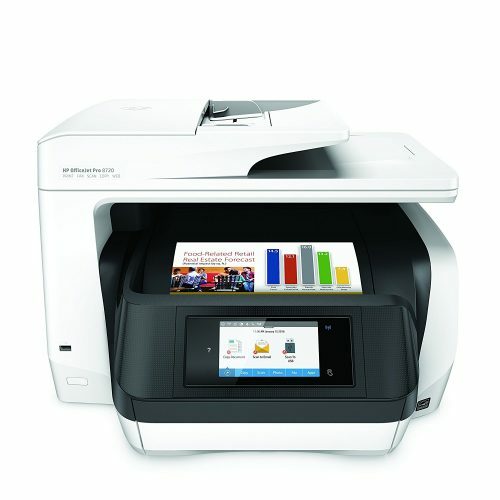 The HP Office Jet Pro 8720 is one of the best home printers and copes well with home and office demanding jobs. This versatile machine offers you printing, scanning, faxing, and copying. Connect the device wirelessly to the network and print directly from your tablet or smartphone. The only minor complaint from different consumers is the infrequent duplex print jams. Whether you need to do a single page or double-sided printing, the HP Office Jet Pro 8720 home printers can handle any workload. The large touchscreen offers you a great interface and the icons are visible. Even installing the photo cartridges is super easy and you can connect in different ways to a variety of external devices. 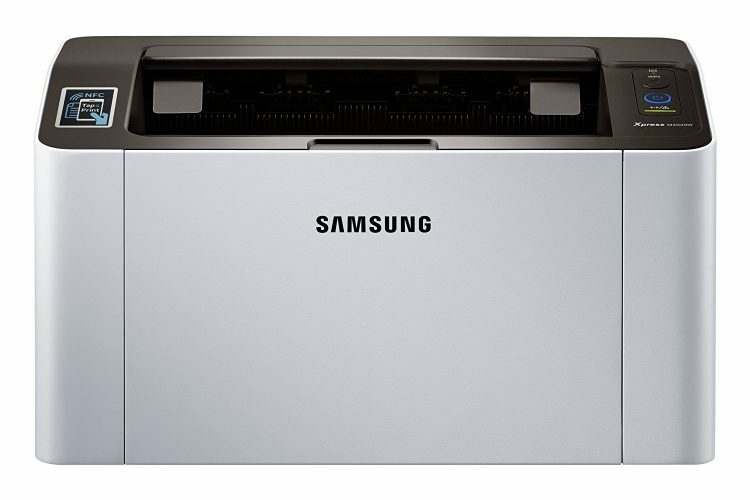 For printing black & white at home, the Samsung SL-M2020 has the best design to suit your needs. This is an affordable machine for printing many black and white jobs. Compared to inject you can save loads with this monochrome printer on ink. The downside is this is an entry-level printer with limited features of home printers. The Samsung Lazer M2070W printer offers you versatility when it comes to printing. This machine is perfect to use in a small office or home environment if you need fast printing. The running costs of the toner cartridge are above average and prints up to 500-sheets of paper. What will be appealing to you is if you are, a Samsung smartphone owner connecting via the NFC is superb. While the Eco mode can save, you load of costs on printing, the toner, and your power bill. 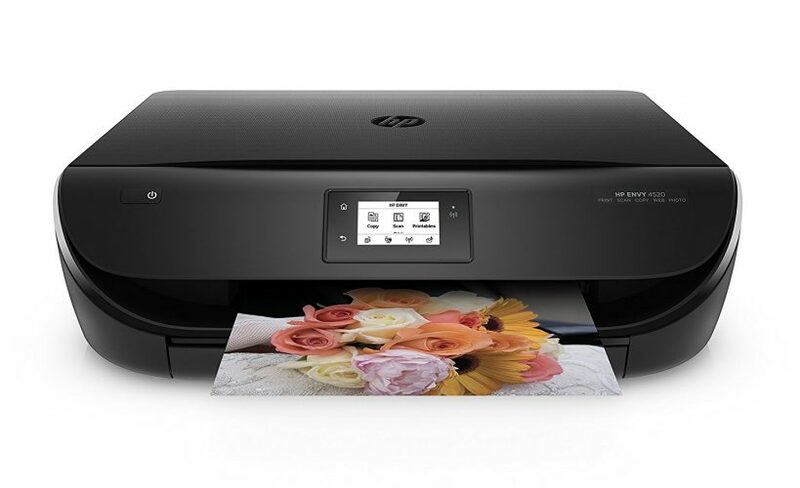 The HP Envy 4520 is a popular multi-function home printer. You can buy this machine at a reasonable price. Furthermore, it offers you ample features to do text to photo printing. Print borderless on standard 8.5 x 11-inch paper and includes an easy-to-use scanner. The only problem users found with the printer is the delay in time to start printing. The printers packed with the latest technology with an instant ink delivery service. The Envy 4520 home printer is able to handle small to large jobs with ease. This machine scored well in different print speed tests with high-quality output and cost efficient at the same time. Another important thing mentioned by different users is the lack of a memory card and the touchscreen can be difficult to use. However, the Wi-Fi connection and Wi-Fi Direct makes up for this. The Brother HL-3170CDW is another entry-level laser printer that is super fast. You get high-quality printing, especially when you use the duplex printing. The machine easily synchronizes with mobile devices and offers top-notch color printing as well. The problem with the HL-3170CDW is if you want to print larger than just a letter or legal you need to feed the document through by hand. 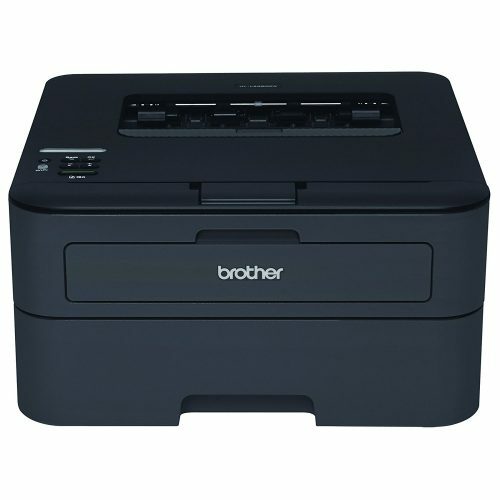 The Brother HL-3170CDW offers you easy-to-use features with a fast printing speed. With the double-sided printing, you can save loads on toner costs. Connect wireless to your smartphone or connect to wired networks. The unit has two separate trays to use different textured paper. There have been minor complaints about the photo quality printing that lacks detail. Furthermore, the control panel is awkward to use, but with the excellent printing speed, you can get your work done in no time. If you need the best home printer, the Brother MFC-J985DW is the best one to own. This printer can help you with your workflow. You get quality printing with low running costs. The machine comes with high-capacity ink cartridges and lasts long. Connect the printer to your PC, USB wired devices and your smartphone. You can print double-sided, but there are minor complaints about the printing speed. If you need an inexpensive printer for your office or home, the Brother MFC-J985DW can help you out. The costs for running this printer are low and it offers you a load of connections. 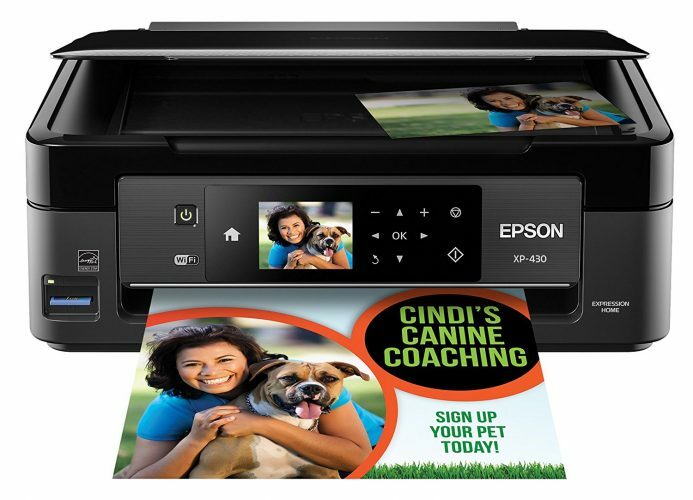 The photo printing is above average and you can print or scan to USB devices. The printing of text and graphics is slightly below par and the paper capacity is not big. However, for the low running costs, it gets the job done. 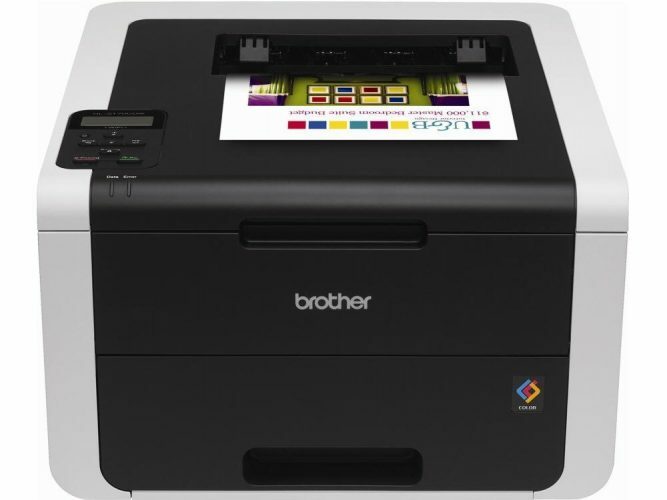 The Brother HL-L2360DW has a future-proof design that is simple to use and prints fast. Installing the printer is super fast and has a small footprint to fit into any space. You get access to Google Cloud Print and Apple Air Print free, and the device is affordable to buy among other home printers. You do receive an included starter toner but does deplete quickly once used. If you need a text printer this is the best home printer, you can have. For a small office environment, the Brother HL-L2360DW is one of the best home printers available. You can connect different Wi-Fi devices or connect it to your home network directly with the Ethernet cable. Some users complained about the Deep Sleep Mode, but you need to give it a moment and starts printing immediately. The great thing is it prints as quiet as a mouse and you will not notice it standing on your desk. Whether you need a text printer only or a model, to do printing while on the go you can find a model here. We hope our best home printers review helps you to find an office machine that gets your printing jobs done in no time. With our detailed list, we help make your shopping experience easier and comfortable right there in your home. The great thing is you do not even need to leave your chair when buying home printers directly from us.